Integrating the vision of coworking into the empty spaces of FATVilllage like technology integrates its “vision” into the empty spaces of your life. 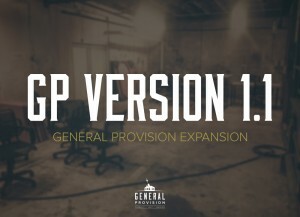 It’s what General Provision has been able to successfully do since launching in June 2014. Our approach to community building is a lot like our approach to engineering software: We start small, lean and mean to allow the ability to iterate often. We test and make improvements as often as possible. Our next iteration has found us facing a most rewarding problem: adding square footage. The cinderblock warehouses in FATvillage have been transformed into a dedicated hub for tech education as Wyncode FATvillage fills it with students eager to flood the market as web developers. On Oct. 1st we unveiled our new expansion; the raw elements still in tact with modern elements of a classroom; ie enough outlets to keep tech hungry students plugged in for nine consecutive weeks and internet faster than a cheetah. Are you ready to be a part of the most innovative space in Fort Lauderdale? Join GP today!